It's impossible for me draw Batman too many times. of any character in mainstream comics. I love him! the black and red piece at the top of this post. 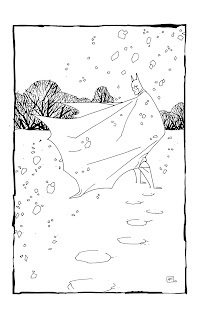 caped crusader drawings that I have ever done. It wasn't done for Comic-Twart, but I include it here as an apology. Hopefully i'll have more time next week. Really strong design on the first Batman, and that second one is just plain great, Andy. 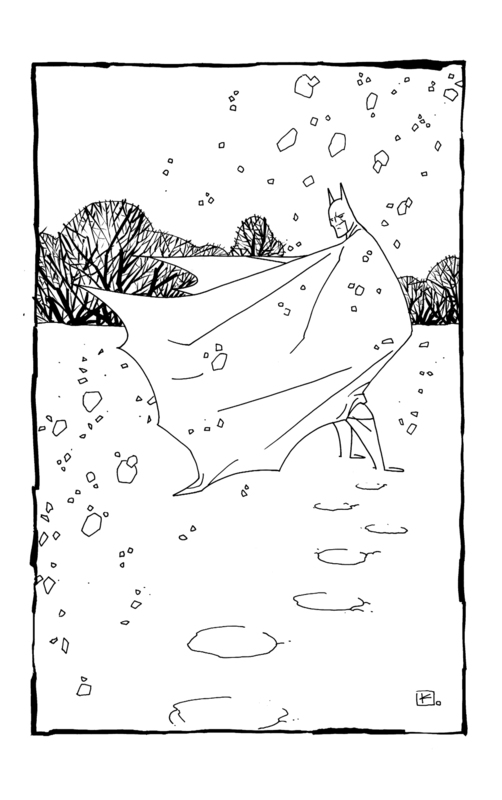 That's comics haiku and it's beautiful, sir! Lovely work. You say the snow piece is old - can't help wonder if it predates Nemesis... you got ripped! Red Batman!!!!! Damn! Move over hulk! I totally agree with what you said about Batman. He's the one character where you can have a way-out-there take on him and still be true to the character. 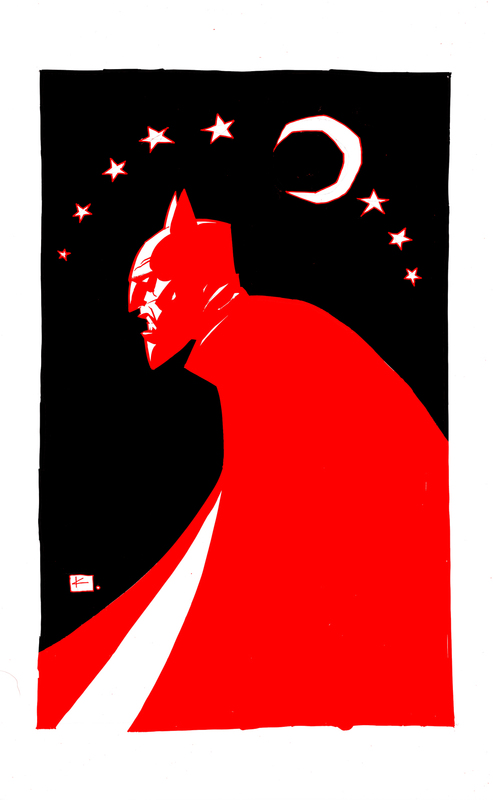 I love that Red Batman. Great design as always.